Spain Cuisine Cookery Traditional Food Dish Recipe Spanish Snack Tapas Crusty Bread Gastronomy Vector Illustration. Royalty Free Klipartlar, Vektör Çizimler Ve Stok Çizim. Image 88926320. 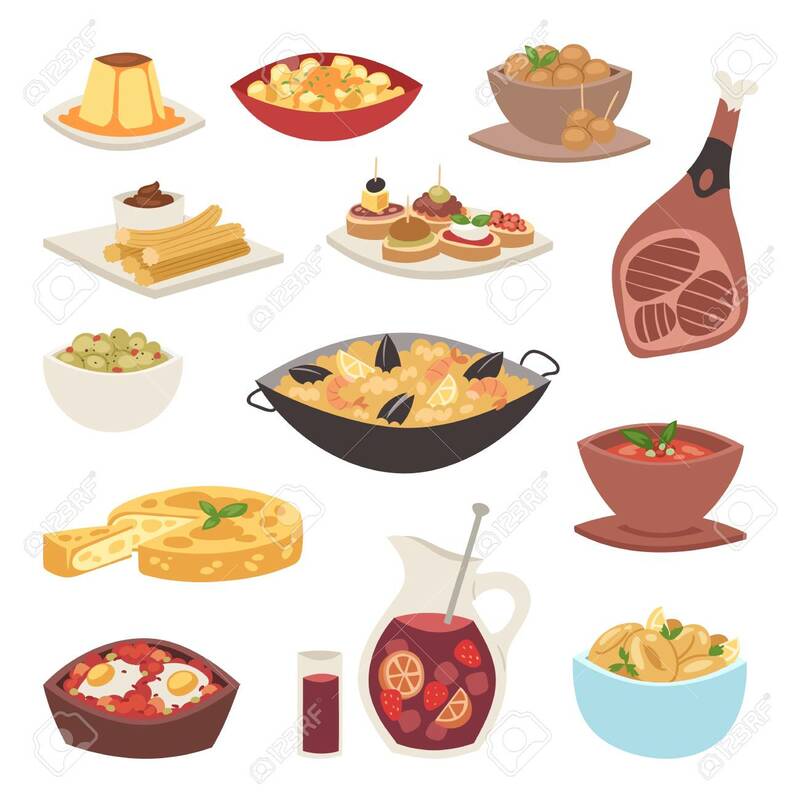 Stok Fotoğraf - Spain cuisine cookery traditional food dish recipe spanish snack tapas crusty bread gastronomy vector illustration. Spain cuisine cookery traditional food dish recipe spanish snack tapas crusty bread gastronomy vector illustration.